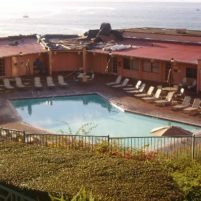 At 1:22 p.m., Cal Fire responded a call about a possible drowning at the San Luis Bay Inn, which is located in the 3200 block of Avila Beach Drive. The drowning victim was grabbed from the bottom of the pool, pulled out and given CPR. But, the lifesaving efforts failed. Kayak does not think too clearly before writing… he is still upset that the sheriff bought a boat to help patrol 85 miles of coastlines of his county or the various lakes within the county like Lopez. One wonders why Diamond Resorts doesn’t have a lifeguard at their pool, my guess they feel it would cost too much. Yea who needs to be bothered with personal responsibility. I guess you hope then that the 88 year man did not a have a medical emergency that possibly a lifeguard on duty may have been able to provide help. Ok let’s get the knee jerk emotions out of the way. Yes it was sad he drowned. Now can you tell me how many hotels or motels you have stayed at that had a lifeguard? Or have you NOTICED that most have a posted sign that says…….no lifeguard on duty swim at OWN risk? So unless someone put a gun to his head, then he assumed risk. Can’t understand what is so difficult about that? Just as many office and public places once did not have anything to help a person if they had a cardiac issue they now have AED’s. why because it was determined to make more sense, perhaps now is the time that hotel and motel pools have something to help for medical issue other than a nice sign. Some resorts with pools do have emergency personnel, they have decided it makes sense, maybe it’s is time Diamond to think the same way. When was the last time you stayed at ANY hotel that HAS a lifeguard on duty? In most ALL cases the pool areas are gated and have lots of signage indicating NO LIFEGUARD ON DUTY. My condolences to the family and loved ones.. I have never stayed at a hotel that had a pool with a lifeguard. That is as ridiculous an accusation as that brought against a hotel other than the lawsuit over someone blindly crossing Shell Beach Road with their gaze fixed on a smartphone, so it may work. Never stayed at a hotel with crossing guards like at schools either.